New York City is home to over 8 million people, which makes it the largest city in the country by a mile. When you look at the many benefits and amenities the city features, it is easy to see why. Sure, it can be expensive, but to many people, the culture, food, sports, history, etc all make it worth the money. But with so many different neighborhoods and different areas in the city, how do you know which is right for you? Well, you’re in luck. This article is going to help you decide which New York City neighborhood is right for you. We will do that by looking at a few different amenities and features that most people deem important, and look at which neighborhood are the best for those who find them important. We’ll look at affordable neighborhoods for those on a budget, neighborhoods close to great restaurant for those who like to eat out and so much more. In a city as expensive as New York City, people are always on the lookout for deals. If price is one of your biggest concerns, but you still want to live in the city, don’t fret. There are several different neighborhoods in New York that are generally seen as more affordable and perfect for those looking to spend less. One neighborhood that is consistently mentioned as one of the most affordable in NYC is Forest Hills, which is located in Queens, where condos and apartments can be found at discounted rates compared to most of the city. Another worth checking out is Brooklyn’s Bay Ridge, which is not only relatively affordable to purchase and rent in, but also features awesome views of the harbour and decent shopping options. Other neighborhoods to consider are: Riverdale, Washington Heights and Rego Park. Of course, there are apartment or home deals to be found in most neighborhoods if you search hard enough, but these neighborhoods we’ve looked at are generally the best place to look if you are on a budget. 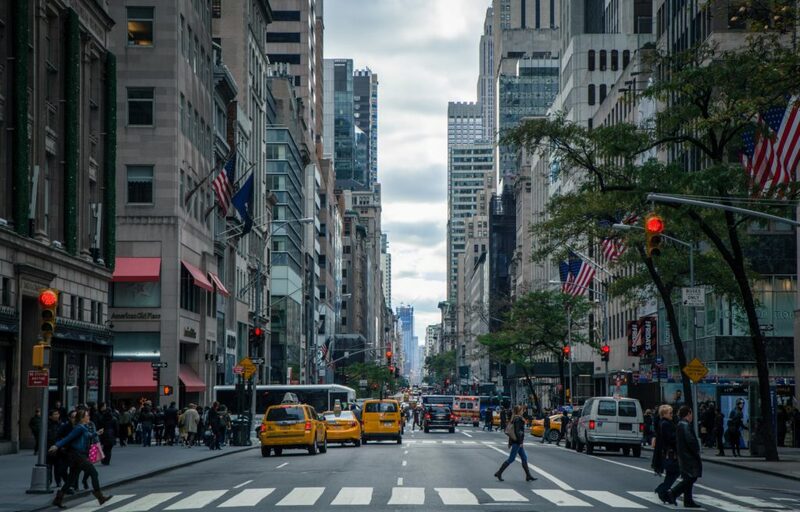 New York City is often billed as the city that never sleeps, but if you’re someone that likes your sleep and quiet time, that isn’t a real selling point. However, there are some neighborhoods within NYC that are actually quite quiet and family friendly. One of these neighborhoods is Battery Park City, located in Manhattan. This neighborhood is busy during the day, but really gets hushed down at night, and is a great place if you like your peace and quiet. Another neighborhood to consider is Greenpoint, in Brooklyn. It is a very quiet and subdued place, but commuting into Manhattan from here is hard, so be sure to be aware of that. Other quiet neighborhoods to consider in NYC are: Clinton Hill, Tribeca and Upper East Side. If you are a foodie and like to go out, New York City is one of the best places on the planet. You can find nearly every kind of cuisine within the city limits and can satisfy even the pickiest cravings. Each neighborhood boasts unique options, but there are definitely a few areas that stand out above the rest. East Village has long been one of the best neighborhoods for nightlife, and has many high-end restaurants. It is also one of the diverse neighborhoods when it comes to non-pretentious cuisine. If you are a fan of Chinese food or Asian cuisine, you need to check out Flushing. It has one of the largest Chinese populations in North America and is home to several amazing restaurants. Other places worth checking out if you love restaurants or other nightlife include: Williamsburg, Chelsea and SoHo. While many neighborhoods in NYC will be great for single individuals and young couples, things get a little bit dicier when you have a family. There are a few things to look for when looking for a family neighborhood, including peace and quiet, good schools, parks and outdoor space nearby and more. One neighborhood you should definitely consider is Greenwood. It has a strong school system, access to parks (including the popular Prospect Park) and a large population of families with children. Add to that the affordability and size of many of the units available in the area, and it is a home run for families. With Battery Park City appearing as one of our quietest NYC neighborhoods, it would make sense that it’s also one of the best for families. It features a ton of great parks (many of which are dog-friendly) and plenty of other things to do with families including museums. While Lower East side can be quite busy and adult-oriented at night, during the day, it is a great place for families, It features great schools, a large community of parents and even private parks and playgrounds for some apartments. In conclusion, we hope that this article was able to help you figure out which NYC might be the best for you. Of course, be sure to visit the neighborhood in person and check out the surrounding area and make sure it is the right place for you.